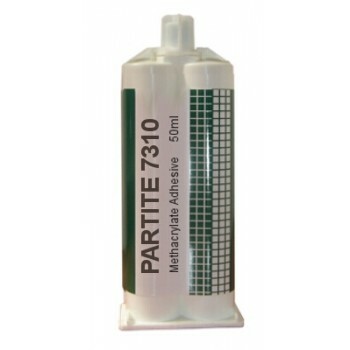 A two-component methacrylate adhesive expressly designed to bond a wide range of thermoplastics, thermosets, metals and composite assemblies. Superior adhesion to metal faces including stainless steel, plated steel, aluminium and galvanised metals, it can also be used without the need for chemical wipes or primer. It offers excellent impact, peel and shear resistance and is non-sagging. Application: Excellent adhesion to plastics, composites and metals.